(TODAY ONLY) ALL Baby and Toddler Halloween Costumes $5 at Old Navy! Are you still in need of some Halloween costumes for your baby or toddler or just want to snag some more costumes for dress up? Then head over to Old Navy! Today only (10/23), ALL Baby or Toddler Halloween Costumes are only $5 (Reg. $24.94 Value!) Plus you can get 50% off ALL Halloween items in general through 10/27. This is a sale so no coupons are needed. To learn more details, go here! *Restrictions apply so you'll want to see coupon for details. This is an in-store sale only. *FREE* Item of Kids Clothing TODAY! 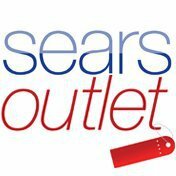 (Oct 22nd) at Sears Outlet Stores! Today ONLY (October 22nd) Sears Outlet Stores are celebrating a FREE Kids Apparel Day by giving away One FREE Piece of Kids Clothing! No Purchase Necessary! To qualify you must be a Shop Your Way Rewards Member with a Valid email address. We need to know you are loving our #FreeKidsApparelDay! Please post a picture of your free items on our Facebook wall if you want to keep them coming Happy Shopping! *HURRY and PRINT* 25% off ONE Item at Spirit Halloween Stores Coupon! *HOT* 30% Off Your Entire Purchase at Famous Footwear! Need new shoes? Then now is the perfect time to get some at Famous Footwear! Starting on Thursday October 24th through Sunday October 27th Famous Footwear is offering an incredible deal. You can get an additional 30% off your entire purchase at Famous Footwear!! Yes this deal even applies to clearance items!!! FYI:: When printing the coupon you MUST click the "Print this coupon button" the image of the coupon on the main page will not work. 20% off Costumes at Costume Superstore! Are you all ready for Halloween or are you still trying to find those last few costumes for the kiddos? If you are then head over to Costume Superstore. Right now they are offering 20% off everything site wide. Just use the code HUGE20 to get 20% off your order. Even better for just $1 more you can upgrade to 2 Day shipping! If you want an even better deal check out all their costumes in the clearance section.